At Maurice Walsh Engineering we manufacture all structural and secondary steel in our factory in NI. We supply and fit in any location in Britain and further afield. 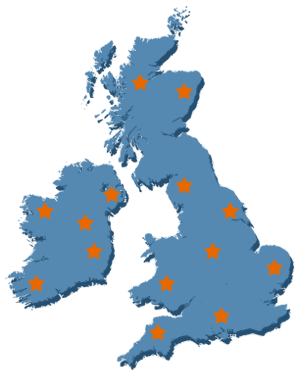 Our installation teams are strategically positioned all over Britain and have international experience in delivering large scale projects in different countries. We would be delighted to hear any enquiries and tender opportunities. With our own estimating department we will strive to give the customer, competitive costs within agreed timescales.